While winter has been rife with oyster roasts, we’ve been using the cooler months to store up energy for festival season, which—according our calendars, at least—kicks off with the Southeastern Wildlife Exposition (February 15-17) and rolls on through the Spoleto Festival (May 24-June 9). 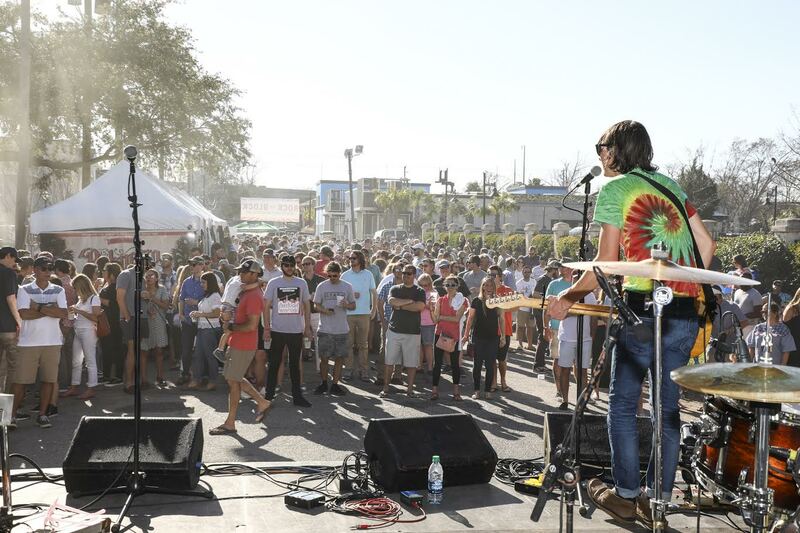 From the Wine + Food Festival and the Festival of Houses and Gardens to the Cooper River Bridge Run, Volvo Car Open tennis tournament, High Water Music Festival, and more, the forthcoming months are packed with fun for locals and visitors alike, no matter your interests. Here, we highlight the events we’re most looking forward to throughout February and March; check back next month for our April and May roundup. What events do you plan to attend? We hope to see you at one or more of the below! Southeastern Wildlife Exposition (SEWE) // February 15-17 SEWE is a highlight of the year for us. A three-day event celebrating all things wildlife, it has something for everyone—from gallery rooms at the Belmond Charleston Place overflowing with naturalist paintings, sculptures, and jewelry; to The Center for Birds of Prey demonstrations and outdoors-wear shopping in Marion Square; to DockDog competitions and Southern eats at Brittlebank Park. And don’t forget to bring your four-legged friends! Pups are invited to outdoor events throughout the weekend. 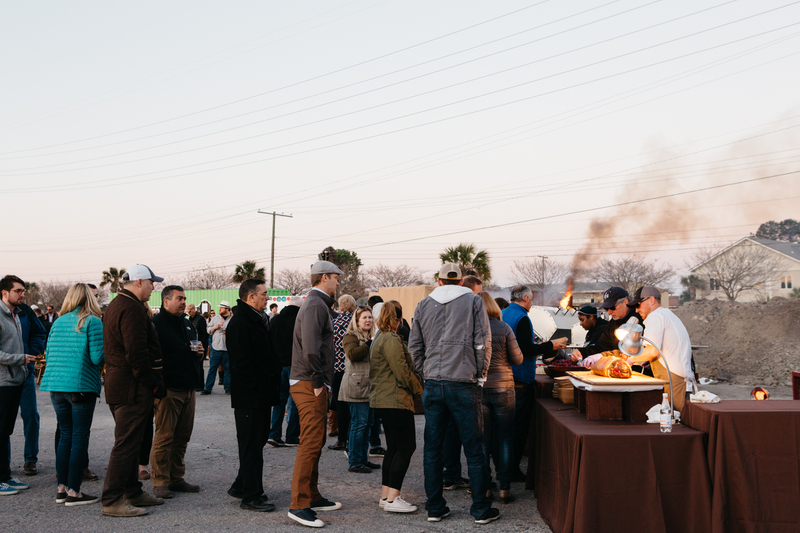 Rock the Block // February 23 Pitmaster-smoked BBQ, yummy bites from local chefs, delicious libations, craft brews, and live music … all for a good cause? Sign us up! We’re a sponsor of the second-annual Rock the Block event (11 a.m. to 6 p.m.), hosted by Home Team BBQ. Entrance is free, with proceeds from purchases there benefiting Hogs for the Cause, a non-profit committed to helping children with pediatric cancer and their families. Home Team chefs will team with visiting pitmasters like Atlanta’s Justin Fox of Fox Bros. Bar & Bar-B-Q to serve up a savory spread, with bites from Short Grain, Edmund’s Oast, and goat.sheep.cow sold, as well. Stages will showcase headliners Elise Testone and Great Peacock, among others, and you can enter raffles for items including a YETI cooler and Big Green Egg (our fingers are crossed for the latter!). Folly Gras // February 23 Can’t make it to NOLA for Mardi Gras? No worries. 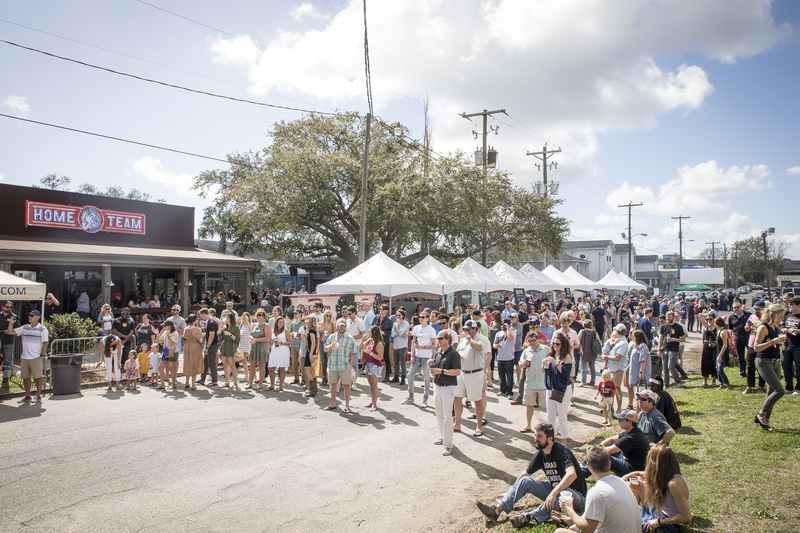 Grab your krewe and head to Folly for a local spin on the carnival. Catch beads from parade floats, shop from local artisans, and rock out to live music from Dangermuffin and other local bands. Kiddos will love the face painting, caricatures, and crafts offered in the kid’s zone; you’ll love the Deep Eddy cocktails and fare served up at participating restaurants and bars. Charleston Wine + Food Festival // March 6-10 Foodies, get ready. For one weekend each March, Marion Square becomes a “Culinary Village,” where chefs, wine pros, farmers, and purveyors from the Holy City and beyond converge, sharing their delicioso talents with attendees. Throughout town, highly creative gastronomic events are held all week, ranging from the Truffle Shuffle (during which you’ll taste and learn how to cook with the delicacy at a handful of local eateries) to Holi City Shakedown (a dinner/dance party celebrating the art of Indian cuisine). Festival of Houses & Gardens // March 13 - April 18 By mid March, the weather should be just perfect for guided tours of Charleston’s most storied streets, like Tradd, Anson, Broad, and more. The Historic Charleston Foundation’s 72nd Annual Festival of Houses & Gardens offers just that, letting you peek into some of the city’s most beautiful antique-filled manses and picturesque gardens, all while soaking up history and design inspiration in spades. Events range from morning history strolls and home tours to how-to talks like “Magic in Small Spaces: Window Boxes and Container Gardening.” We can’t wait! 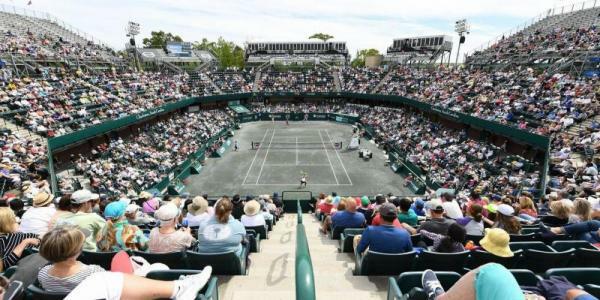 Volvo Car Open // March 30 - April 7 Every year, Daniel Island plays home to the world’s largest women’s-only tennis tournament in the world, bringing talents like Serena Williams, Venus Williams, Kiki Bertens, Sloane Stephens, and many more to the Holy City. Single session and box-seat tickets are available, as are travel packages for out-of-towners.